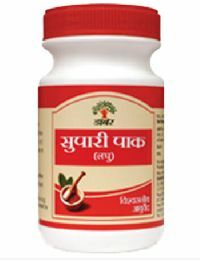 Uses : It remedies the general physical weakness, facial paleness and anemia. 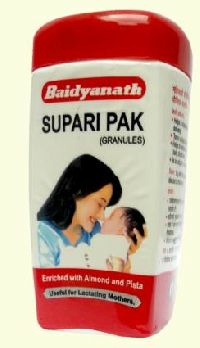 Dosage : 10-15 gm to be taken in morning and evening with milk. With our streamlined packaging system, we are capable of meeting standard as well as tailored packaging needs of the patrons. 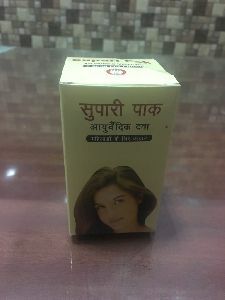 And, we make use of premium material for packaging. The organization is a trusted name based in New Delhi(India) and known for its fair pricing policy. 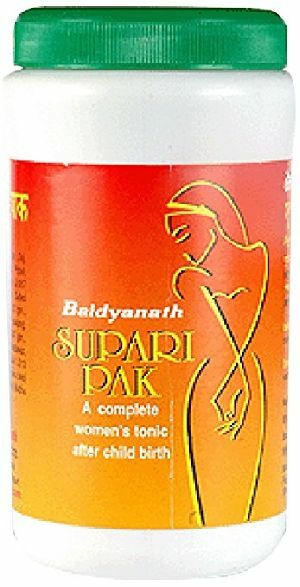 Dabur's Supari Pak is one of the top ayurvedic medicines for leucorrhoea which is a trusted herbal preparation formulated using various medicinal plants, to treat a variety of problems related to female reproductive system as recommended by ayurveda. 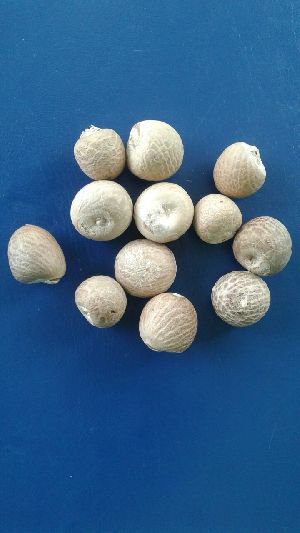 Its unique ingredients help promote overall female health and strengthens immunity. It revitalises and re-energises the body to fight fatigue and exhaustion. S.r.s. Marketing & Distribution Private..